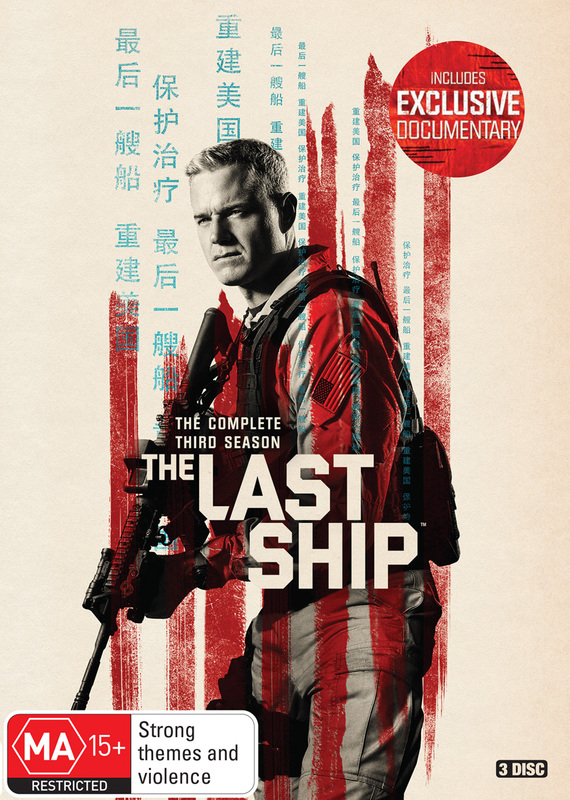 The Last Ship Season 3 DVD sees the crew of a naval destroyer forced to confront the reality of a new existence when a pandemic kills off most of the earth's population. The crew of the Nathan James shift their attention to Asia after President Michener hears rumblings that the Chinese leader has been hoarding the "Scott cure" instead of distributing it to the people in the region. Michener sends Chandler to a global summit to investigate this allegation, as well as rumors of a possible mutation of the original virus that has caused a fresh outbreak in Japan. Click the button below to add the THE LAST SHIP - COMPLETE SEASON 3 to your wish list.